Electro foil etched foil heater elements are especially used in thermal management applications. The only agenda of Chhaperia is to produce the top-notch quality products to enhance customer satisfaction. Prior to the manufacturing process, the design of the foil is done by using advanced tools. Once the final layout is made, the raw materials are subjected to the manufacturing process where everything is assembled and designed with a defined layout. The world-class infrastructure at Chhaperia ensures perfect dimensions for all the units we manufacture. 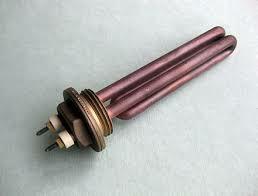 Wider elements are used to achieve required wattage and resistance with closer element arrangement. The tight space distributes heat evenly around the surface. Extremely thin and they can be wrapped up around complex shapes and tight corners as they are flexible. Can be soldered directly using traditional methods. The heaters which have built-in logic have etched foil heaters. Electro foil etched foil heater elements are made from etched, and metal foil patterned to create a conductive element on its surface. We make the standard foil heaters, and many industries across the globe trusted us that made us lead the industry for years.